Wowee! Spring was fabulous, but summer has made a booming arrival! What gorgeous weather we've been having. 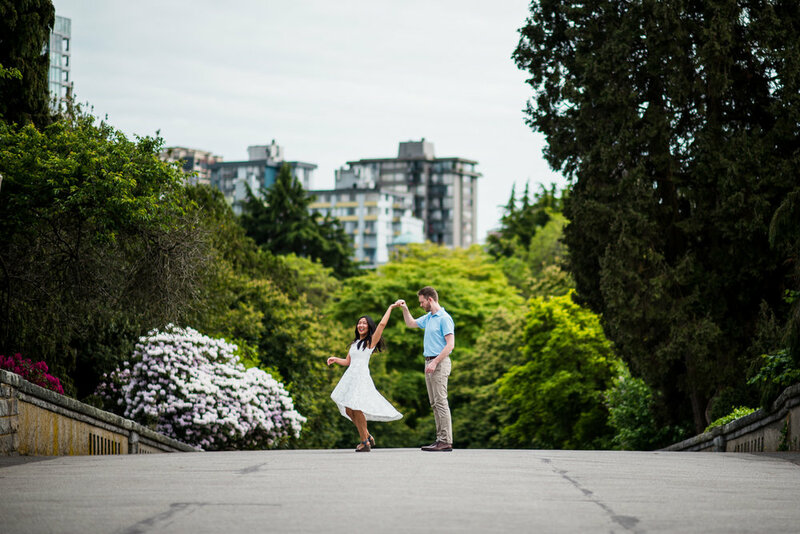 On days like these, we love to stroll somewhat aimlessly, check out the sights, play tourist, and take in the long days. 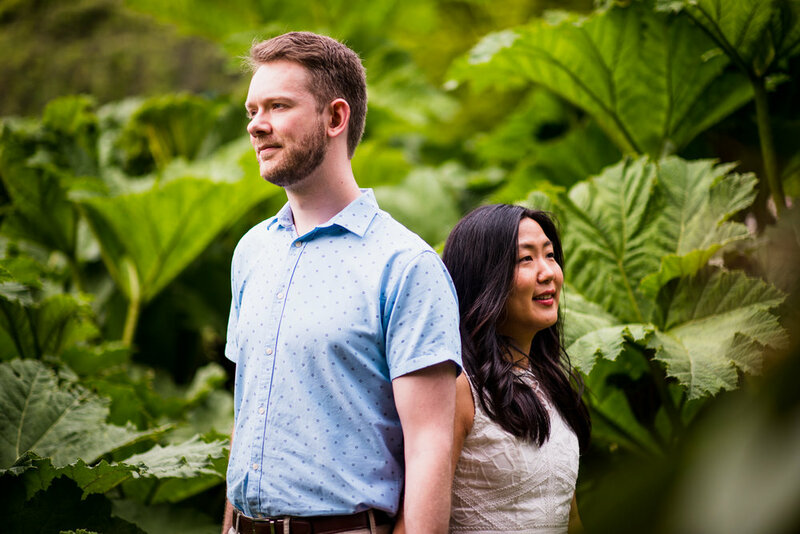 That's just what we did with Jane and Joseph during their Stanley Park engagement photos! he park was abuzz with tourists and locals like, as we wandered from the Aquarium, to the gardens, and then the Seawall. 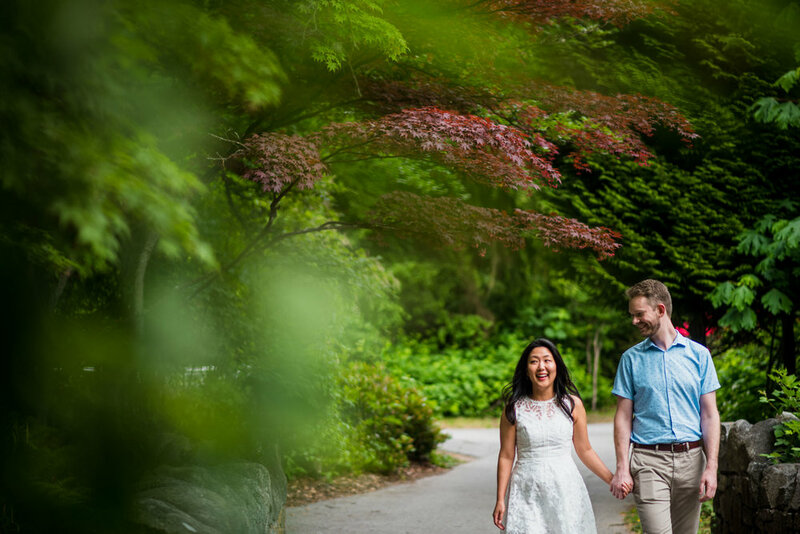 It was a perfect day for people watching and flower gazing as we stopped to admire the rhododendrons, azaleas, roses, and alliums all around the park. All the while we chatted, giggled (and twirled!!) 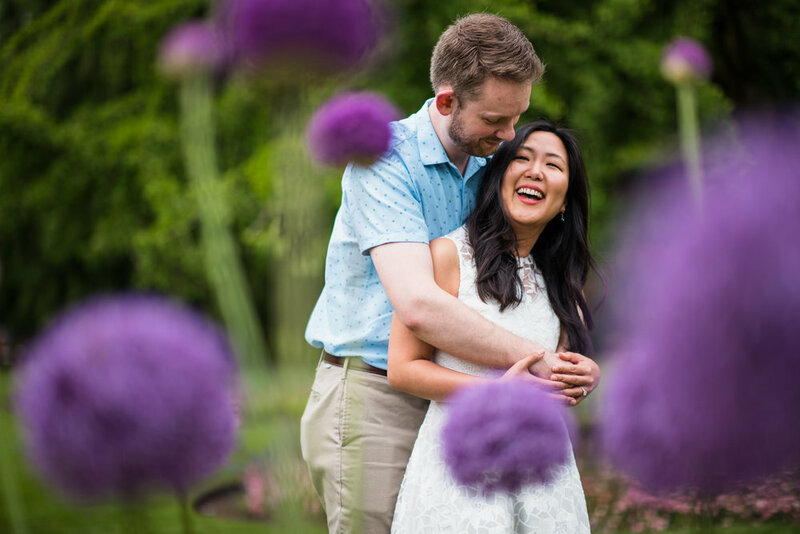 with Jane and Joseph, and took the opportunity to chat about them, their upcoming wedding and their excitement for their big day! 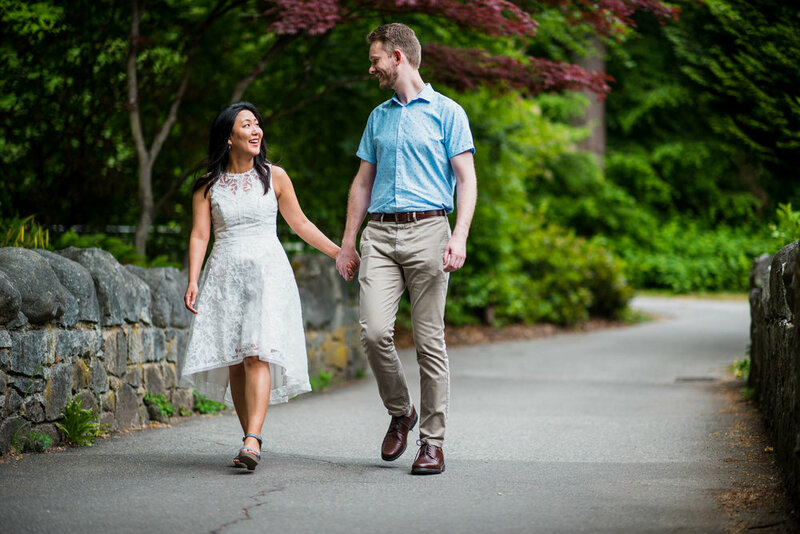 Thank you Jane and Joseph for taking a easy breezy Saturday stroll with us during your engagement photos, we had a blast!